The face of a lion. Or is it the heart of a lion? 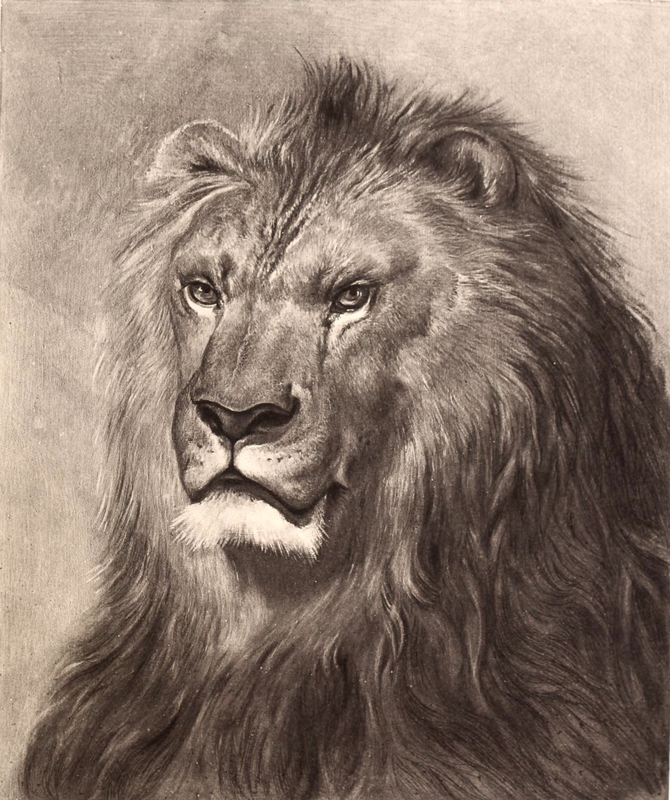 Either way, we see both in this wonderful vintage lion face drawing. She came from a family of artists. Her mother played piano, her father painted landscapes and portraits. And, her siblings were all painters or sculptors. Marie-Rosalie Bonheur was born in Bordeaux France in 1822. She was a rebel from an early age and was expelled from numerous schools as a child. When she was around 12, her father began teaching her to paint. And, the rest they say, is history. This lion face drawing is but one of many examples of the work that so typifies her career. She is most well-remembered for her realistic depictions of animals. She studied animal anatomy at the National Veterinary Institute in Paris and used the animal physiology she learned in her later paintings and sculptures. This piece was included in a 1900 publication by Leon Roger-Miles (1859-1928) entitled Atlier Rosa Bonheur. How utterly civilized this king of the beasts appears in this portrait like drawing. His head is positioned much like that of a man, even with a number of bright white chin whiskers. His full and flowing mane do nothing to hide a pair of piercing eyes that seem to look right through the observer. This fellow would add a ton of drama to any piece he graces. To see a larger version of the lion face drawing, just click on the image shown above.